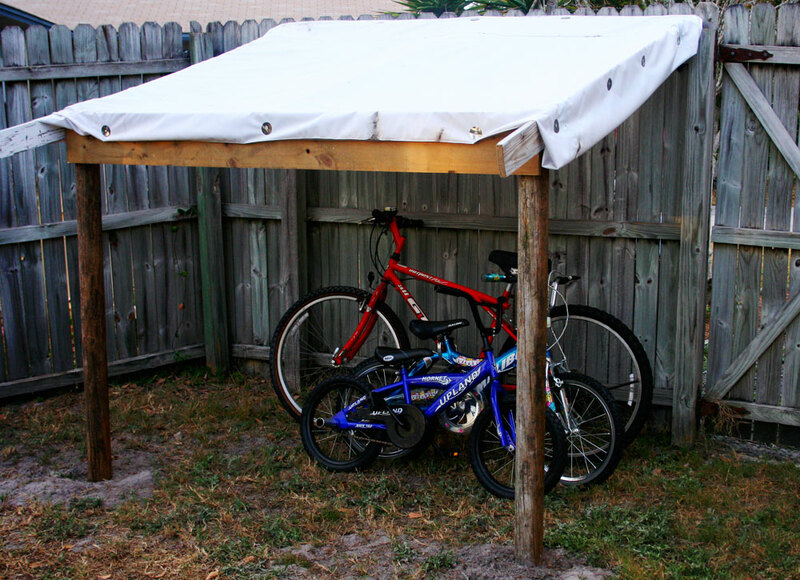 Thomas made a lean-to for our bikes using materials we already had. 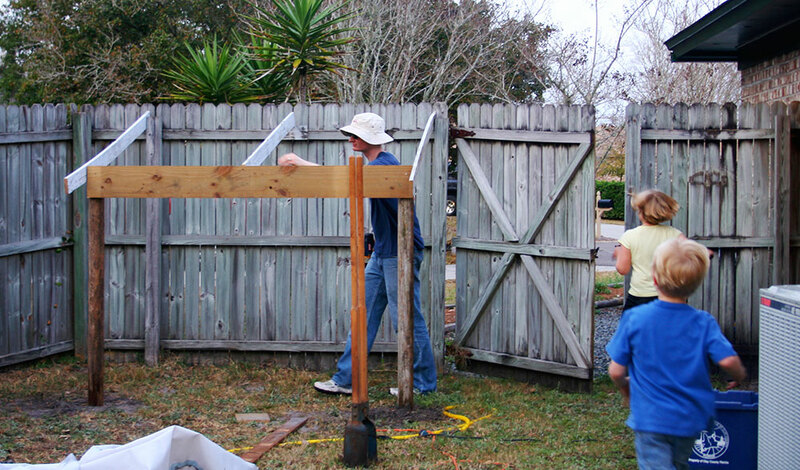 The wood was leftover from rebuilding our shed and a few fence posts. The roof was vinyl from the bottom of an old blowup pool we had. The nails used to attach the roof were shingle roofing nails from re-shingling the shed. Total cost was $0. Now our bikes have a happy home out of the rain. Thank you Thomas! Looks great! Isn’t there a bike missing?